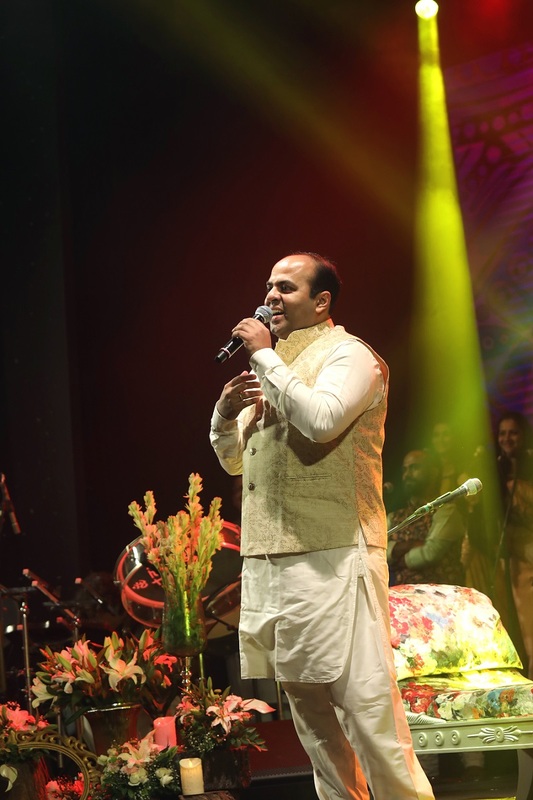 With momentous performances at over 1500 concerts across 15 countries, Ameya Dabli has always been applauded as a prolific singer whose melodies connect with the inner soul. Through the platform of AD Ventures, over the years Ameya has performed for A-list social events as well as various army cantonments. 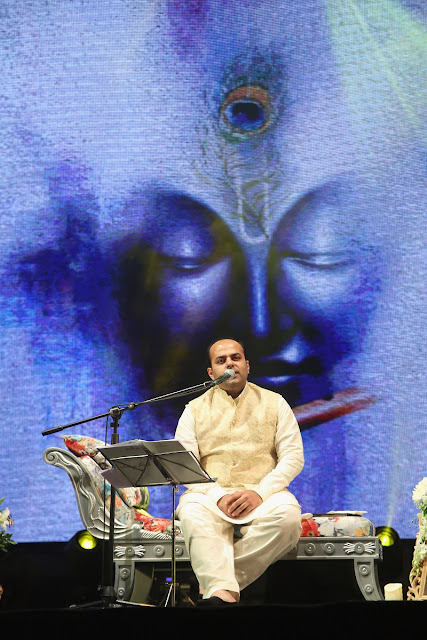 On the journey towards providing the society with melodious musical experiences, AD Ventures in association with Bank of Baroda, DHFL, décor partner – Ami Kothari dining couture and beverage partner - CCD hosted ‘Krishnaa- Music, Bliss & Beyond’- a music concert on the auspicious occasion of Janmashtami. 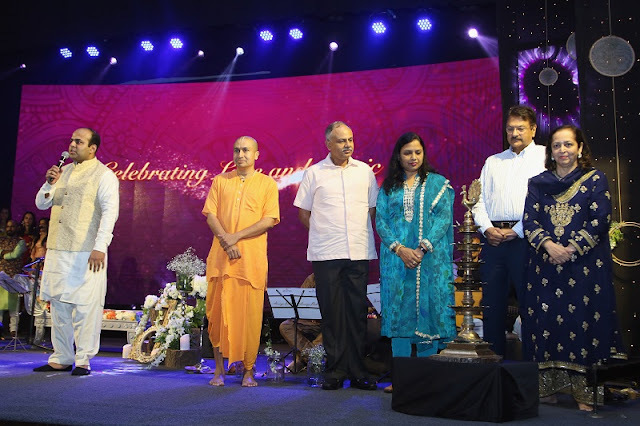 The evening was dedicated to melodious hymns, chants and soulful music which saw spiritual leaders, industrialists, devotees, and fans rejoicing to the tunes. Industrialist Ajay Piramal, Swati Piramal, Vice Admiral A.B. Singh and officials from the Indian Navy, spiritual leader Gaurang Das PrabhuJi from ISKCON also graced the event. The concert commenced on a spiritual note as the dignitaries undertook the lamp-lighting ceremony. Later on, Purvi Soali(Co-Founder AD Ventures) briefed the audience about Ameya Dabli, AD Ventures, and their collaborative vision. The harmonious session started with ‘Jai Radha Jai Kunj Bihari’, as the premier song of the evening. Popular chartbusters, Achutam Keshavam, Mara Ghat Ma, Jai Radha Madhav, KrishnaGopala, Baje re MuraliyaBaje, O PaalanHaare and Hey Govinda Hey Gopala among others; were a few other melodies that created a serene ethos. Ameya also belted out his popular chart buster‘Radhe Govinda Krishna Gopala’ which has over 25Mn hits on YouTube. Ingenious artists like Mr. R S Mani - music arranger par excellence with movies like Veer Zara to his credit, were the overall music arranger for the show. Sanchita Garge, finalist of popular music show- Sa Re Ga Ma Pa; also sang divine songs on the beautiful occasion. With the soulful mix of songs, the event also reverberated with tuneful chants like Satnam Shri Waheguru, Ishwar Allah Tero Naam, Amazing grace and many more. Throughout the concert, every member of the audience was deeply mesmerized and taken to a world of glorious musical enchantment. The session marked its end with a song Har deshmeintu, Har Bhesh main tu in Bhairavi raag. 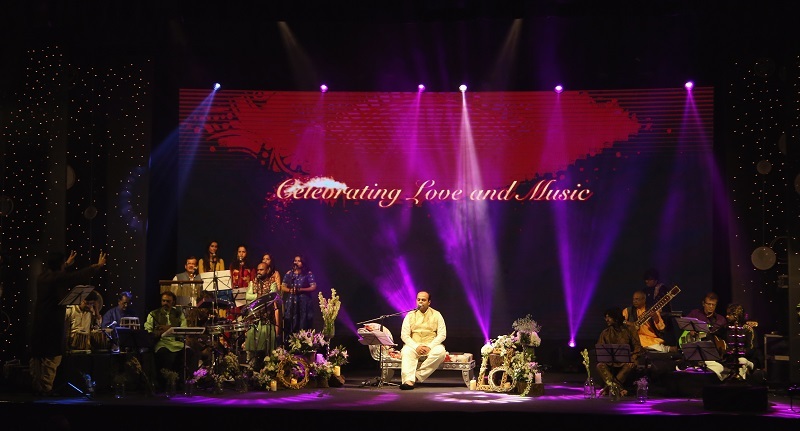 Post this, with a thunderous applause, the audience showed their gratitude for the maestros: Chintoo Singh on Guitar, Tejas Vinchurkar on Flute, Girish Vishwa on Dholak, Jayesh Dhargalkar on Tabla, Umashankar Shukla on Sitar, Vipul Samani on Keyboard, Pratap Ji – Percussionist, Kajal Visaria - Singer, Prasad Chavan - Singer (Chorus), Priyanka Jhadav - Singer (Chorus), Sanchita Garge - Singer (Chorus) and Neha Rane - Singer (Chorus).